Sometimes in order to view the world in a new way, we must see it through a youthful eye. Ryan Coogler, director of Fruitvale Station, has that eye. Coogler, a recent graduate of the USC film school, has been causing quite a stir within the industry recently with his directorial debut, and for good reason. Within a year, Fruitvale Station has been showed at two prestigious film festivals, Sundance Film Festival and Cannes Film Festival. While at Sundance the film won both the Grand Jury Award and Audience Award for Best Drama. At Cannes, it received a lengthy standing ovation from the very critical French audience. I can attest to this because I was one of the ones standing in the theatre at Cannes. 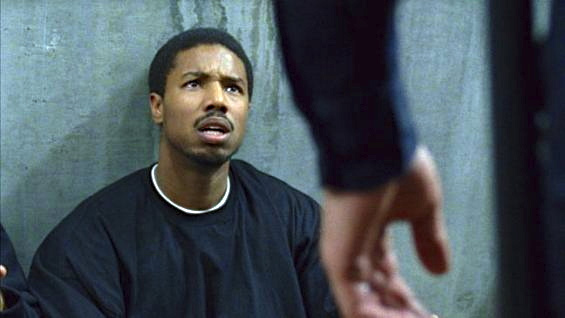 Fruitvale Station was not a perfect film, but it was an extraordinary film. 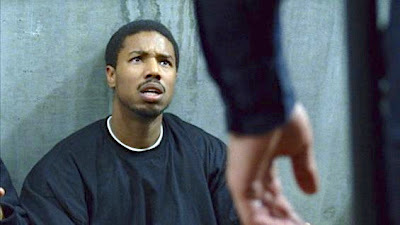 Fruitvale Station is about Oscar Grant (played Michael B. Jordan), a young African-American living in the San Francisco. Coogler chooses to tell Grant’s story by focusing on his final 24 hours. We find out Grant will die at the beginning of the film, but that isn’t the point of the film. The film is about who Grant is. You know from the film’s opening moments that you are in for an interesting experience. Jordan gives us a performance that will open a number of people’s eyes about just how talented this young actor is. Jordan portrays a character that a number of people can relate to. Grant is a good person who has grown up in a bad environment. His mother (Octavia Spencer) has tried her best to raise him right and keep in line, but Grant’s story shows that no matter what someone does for you, a good person can always be led into bad situations. Grant becomes involved in running drugs, gangs, and even has a stint in jail. This visitation scene between Jordan and Spencer is by far one of the best acting scenes of the entire movie. From this scene alone, I feel Spencer should be nominated for an Oscar for her role. Majority of the story focuses on Grant being a father, a husband, a son, and trying to cope with his troubled past. He wants to move on. He wants to lead a good life. He is kind, intelligent, and just an overall good person. This, however, is my biggest quarrel with the film. In the first half of the film, it just feels way too positive. There is nothing negative about this character, besides him going to jail. Some of Grant’s most important decisions are made when no one else is around him. How do we know he decided these things? No one was there to witness it. I know a lot of research went into this film, but there are some holes here and there. I can tell that the filmmakers filled in the gaps where they were lacking information. That is main flaw to the film. Also, at some points early on the film is tad bit slow,but when you get into the film’s final act, you will forgive all of the film’s flaws. It is New Year's Eve and the audience has been following Grant’s final day. His friends and him decide to go out to a party that night. They decide to take the train, they do not have to worrying about drinking and driving. By this point, we know everything we need to know about Grant. We know who he is and what he is trying to do in his life. I will not give many details about the film’s climax, but I will say it is a marvel to watch. It is heart pounding and it will have you on the edge of your seats, even though you have a good idea about what will happen. Also, fair warning, by the ending you either be in tears or you will be fighting them back. Watching the final act of this film shows just how talented Coogler can be. Yes, the first half has some flaws, but they are not major ones and after the final act the flaws will be nonexistent to most people. The final act of this film was by far one of the most astonishing moments I have seen on the big screen in the past couple of years. The film's final moments are done with wonderful craftsmanship. You would think that a person twice Coogler's age directed the final sequences, not a twenty-six year-old making his first feature-length film. Also, Coogler is able bring out some great performances from the entire cast, especially Michael B. Jordan and Octavia Spencer. This film shows that Spencer was not a one-trick pony with The Help. She is a force to be reckoned with. 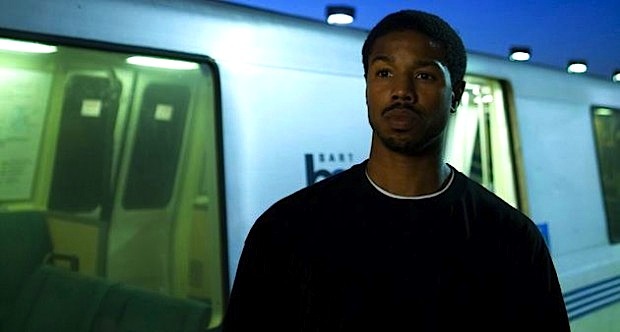 Fruitvale Station is a film that people need to see. It is definitely one that should be watched before Oscar season. A little part of me, though, is wondering if it will have enough momentum going into awards season since it is getting a July release, instead of the usual fall release for Oscar favorites. However, the Weinstein Company is backing it and they know how to market a film for awards season. If it was anyone else, I’d be really worried, but this is a film that will tug on the heartstrings of many and Harvey Weinstein knows it.